MENGO – Express FC have been drawn to face Police in the Stanbic Uganda Cup Round of 16. This was confirmed on Wednesday when the draws were conducted the FUFA head quarters in Mengo. The game between the two will be the third time that they face off this season and the second at Wankulukuku. On Monday, Police defeated Express 2-0 in the second game of the 2018/19 StarTimes Uganda Premier League season. The win for the Cops meant that either side had defeated the other once. It also resulted to the firing of Kefa Kisala who was later replaced by George Ssemwogerere. Last year’s finalist Vipers SC have been handed a relatively negotiable fixture, at home to Kiboga Young. Vipers lost last years final 1-0 to KCCA FC in Bukedea. Their last triumph in the competition dates back to 2016 when they defeated Onduparaka 3-1 at Nakivubo. For Big League Money-Bags, Wakiso Giants, they will face Tooro United at Bugembe. Wakiso scrapped to a penalty shoot-out win over Kireka United in the last round while their visitors eliminated holders KCCA FC. 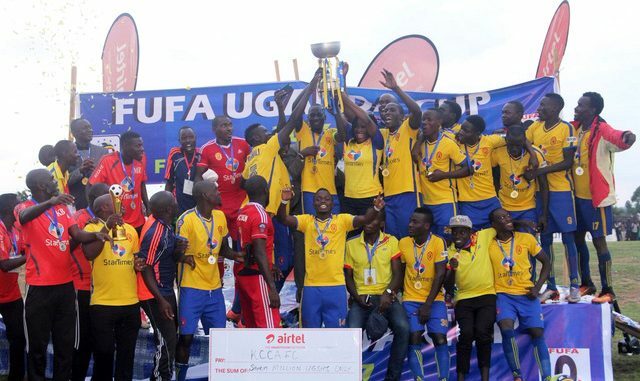 Bul FC who ousted Mbarara City in the round of 32 will take on Big League side Bukedea while URA FC host Bright Stars at Namboole in another all top flight encounter. Nkambi Coffee who eliminated Villa have been rewarded with a trip to Nebbi where they will face Nebbi Central. The other fixtures have pitted Onduparaka away to Proline while Kitara host Kyetume in an all Big League tie. The dates of the Round of 16 matches will be communicated by the Federation at a later date.